According to the data provided by the Network Rail thousands of passengers each day were left standing on the platform by trains and they missed out stops. The numbers were however increasing and the ‘Failure to stop’ incidents on Southern have increased by a quarter in four year. The data provided were between April 2017 to February 2018 and in ten months more than 52,000 trains had missed the scheduled stops. Failure to stop earlier used to happen during disruption when one or more train ran behind schedule and the operator decided to miss out one or more immediate stops. In the south-east England bound journey major skipping occurs and usually each station adds up two minutes to the journey. The 25 miles between Brighton and Gatwick is covered by non-stop trains in 24 minutes while those stopping at each of the seven intermediate station takes 14 more minutes. Earlier problems led to delays building but stop-skipping meant that the normal service could have been restored more quickly and this practice will help in the prevention of fast trains getting stuck behind a stopping service. However, the passengers still have to face delays and difficulties while getting on or off the train. 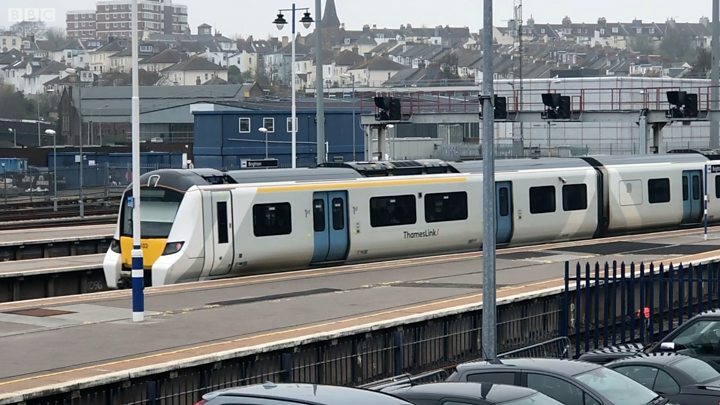 Another analysis revealed since last April one in 60 GTR trains missed the stops, coming to 25 per cent which was worse than the corresponding figures four years ago. GTR runs Southern, Thameslink, Great Northern and Gatwick Express services, and is known for operating more trains than any other franchise. Over the role of guards the Southern commuters had faced several strikes and has the highest incidence of stop-skipping. Next in line is the South Western Railway where one in 70 trains have skipped stops, followed by Southeastern train which missed one in 100 stations. Further the Heathrow Express had no stop-skipping incidents among the normal train operators the best performer was Chiltern and Virgin Trains East Coast. A Department for Transport (DfT) spokesperson stated that their railways are more intensively used today than at any time in our history. While across the network, fewer than 1 per cent of stops are skipped per day. Any inconvenience caused by stop-skipping to passengers was regrettable. It is seen that it helps restoring the timetable, benefiting many more people across the wider network. Αναρτήθηκε από geop στις 7:47 π.μ.